“Really impressed with the service and how fast they got my dj drops to me. They are top quality and I also got more than I was expecting. Highly recommended." “WOW WOW WOW!! all I can say. Beyond impressed with this 5 star service that i received from mediamusicnow. Ordered a Dj drop and received just 3 days later. Everything came out just the way I wanted it. Will definitely be using them again!! :)"
“Very good service, really impressive. Good selection of voice over artists and music. Very fast service and extremely reasonable prices." “We have used Media Music Now for the production of 3 audio books... we couldn't be happier with their quick turnaround time and quality work. I have now qualms about highly recommending their services." “I dealt with Adam in Support in March 2013, he was incredibly attentive and helpful throughout the whole voice-over process. He answered all my queries very quickly and I'm very happy with the service, thank you." “Great work. Fast, efficient, awesome quality, got more than I was expecting. Highly recommended." “Even though I commissioned a relatively minor project, Media Music Now provided me care, attention and product quality as if I had a million dollar budget. Their helpline is fast and effective, the audio producer went out of his way to accommodate my wishes and their available voice talent is superb. 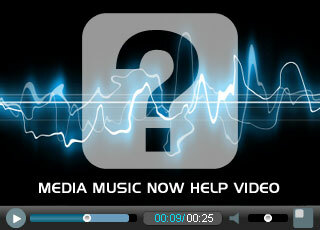 I would recommend Media Music Now to anyone without hesitation." “We are delighted with the quality of our on hold music and welcome messages. Media Music Now is a professional, creative and accommodating company, who I would highly recommend." “What a great, speedy, professional and no nonsense company to deal with. We are delighted with the quality of our on hold music that you prepared for us, many of our clients have already commented on it in a positive way." “Excellent service, speed, turnaround, was simple, and hassle free process, only took 2 days in total. Keep up the good work."